The Complete HR Solution Tailor-made to Suit Your Business Needs. 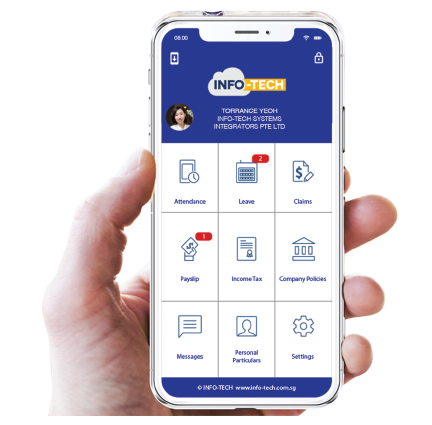 Info-Tech provides the complete 360 HR solution for our clients to manage their HR matters on the go. Stay updated with push notifications and alerts about staff movements in the most efficient way. The INFO-TECH System & Mobile application will be undergoing maintenance from 11AM on April 6, 2019 (Saturday) to 2PM on April 6 (Saturday), and will be unavailable to users. Please plan your activities in advance. Please select a customer to proceed further.